India :- The bias of death penalty against the economically vulnerable? * What is happening in India, is most likely happening in other countries as well..
Why is this important? A prisoner’s economic status and level of education directly affects their ability to effectively participate in the criminal justice system and claim their fair trial rights. Seven in ten prisoners said their lawyers did not discuss case details with them. Nearly 77 per cent said they never met their trial court lawyers outside court, and the interaction in court was perfunctory. The death penalty seems to perpetuate a “systemic marginalization” against prisoners from vulnerable and marginalized backgrounds. Last week, the Death Penalty Research Project at National Law University, Delhi released a seminal report on the death penalty. For the first time, researchers tried to interview all prisoners under sentence of death and their families, to understand who gets the death penalty and how, and what it is like to live under sentence of death in India. What they found, in interviews with hundreds of prisoners and their families over two and a half years, was a system plagued by fundamental flaws.Whose structural foundations “render the systematic erosion of basic protections inevitable”, and where the death penalty seemed to perpetuate a “systemic marginalization” against prisoners from vulnerable and marginalized backgrounds. Media debates in India on the death penalty almost always erupt around an imminent execution, and focus on whether the punishment is morally justified. 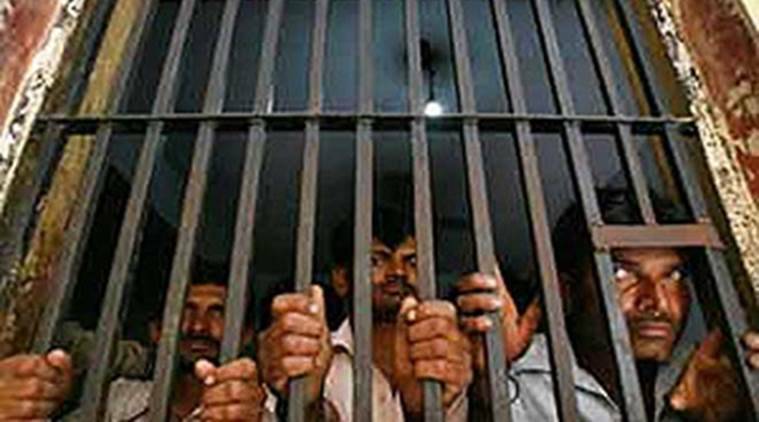 However most prisoners sentenced to death in India are not eventually executed. (Less than 5 per cent of those sentenced to death by trial courts during the study after higher courts ruled on their appeals.) Yet issues of how prisoners on death row are treated by the criminal justice system are almost never discussed. The NLU report emphasizes that its findings do not necessarily suggest that there is any direct discrimination at work – which means that state authorities do not intentionally discriminate against poor or less-educated prisoners. But the disparate impacts that it identifies do raise an important question: is there a degree of indirect discrimination at work, which worsens the impact of the denial of fair trial rights for prisoners from disadvantaged backgrounds? Indirect discrimination occurs when a seemingly neutral practice or rule impacts particular groups disproportionately, even if it is not intentionally directed at that group. Almost 75 per cent of the prisoners interviewed were “economically vulnerable”, a category the report’s authors defined using occupation and landholding. There is no direct equivalent government statistic, but about 21 per cent of people in India live below the international poverty line of $1.90 a day, and 58 per cent on below $3.10 a day. Over half the prisoners worked in the organized sector, their occupations reading like a directory of unstable jobs: auto driver, brick kiln labourer, street vendor, manual scavenger, domestic worker, construction worker. About 19 per cent of those on death row had attended only primary school (including those who started but dropped out). The comparative national figure is about 32 per cent (2011 census). Many prisoners were disadvantaged on both counts; nine out of ten who had never gone to school were also economically vulnerable, for example. Take something as basic as the right to be present at one’s own trial -which is an integral part of the right to defend oneself.Only one in four prisoners interviewed said they had attended all their hearings. Some prisoners said the police would be taken to the court premises by the police and then confined to a court lock-up without being produced in the courtroom. A prisoner named Muhafiz told researchers that he had only been present in court during the depositions of two witnesses, and had been kept in the lock-up for the rest of his trial. He had never been to school, and said that even his limited presence in court would have been more meaningful if he had been educated. Even when prisoners were present in court, the report says, “the very architecture of several trial courts often prevents any real chance of the accused participating in their own trial.” Accused persons were usually allowed at the back of the courtroom while proceedings between the judge and lawyers took place in front, out of earshot. Everyone charged with a crime has the right under international human rights law to an interpreter if they do not understand the language used in court, and to translated documents. But this requirement is rarely met. Over half of the prisoners interviewed said they did not understand the proceedings at all – either because of the court architecture or the language used (often English). Abed, a prisoner who only understood simple English words, said he could not comprehend large parts of his trial, which lasted for over 12 years. He understood the trial court decision to sentence him to death only after his fellow inmates explained it to him. Another prisoner who knew English told researchers he could not understand the proceedings in his trial as they were conducted in a different state language. The trial court rejected his requests for a translator, and went on to sentence him to death. Part of an accused’s right to a fair hearing is the right to challenge evidence produced against them. In India, trial courts can question the accused directly at any stage, and the Supreme Court has ruled that accused persons must be questioned separately about every material circumstance to be used against them, in a form they can understand. It isn’t just death row prisoners who face these kinds of violations, of course. (And India isn’t the only country with these problems: Amnesty International has also documented how death row prisoners in countries such as Indonesia face similar flagrant fair trial rights violations.) But given the irreversible nature of the death penalty, it is particularly important that fair trial rights are scrupulously followed in these cases. International human rights bodies agree that every death sentence imposed at the end of an unfair trial violates the right to life. The only way to end this injustice, clearly, is to impose an immediate moratorium on the use of the death penalty, as a first step towards abolition. Indirect discrimination isn’t always easy to prove, and can often only be demonstrated circumstantially. But reliable statistics can go some way in showing that it exists where policies and practices appear to be neutral. UN treaty bodies accept statistics as proof of discrimination, as do many European countries. Combined with the knowledge about the broader societal context prejudices, statistics can make out at least a prima facie case of discrimination. Indian criminal justice authorities follow several practices which hurt poor or otherwise marginalized prisoners much more than others.What needs investigation is whether these practices are just the offshoots of social and economic inequalities, or whether they have become a form of institutionalized indirect discrimination. Just last year, the Law Commission concluded in a report on the death penalty, “The vagaries of the system also operate disproportionately against the socially and economically marginalized who may lack the resources to effectively advocate their rights within an adversarial criminal justice system.” The NLU study sets out in stark and dismal detail the evidence for these claims. The death penalty is a lethal lottery in India, and the dice are loaded against some. Shailesh Rai is Senior Policy Advisor, Amnesty International India. Views expressed by the author are personal. ← Pakistan – 332 persons have been executed in 2014-15, Bangladesh – Political Opposition being executed?